Below you fill find all funeral homes and cemeteries in or near Baldwin. Zip codes in the city: 30511. Banks County funeral flowers can be purchased from one of the local funeral shops we partner with. Some of the notable people born here have been: Nick Harper (american football player). It was disclosed by The Times on February 12th, 2019 that Michael Claude Colston died in Baldwin, Georgia. Colston was 69 years old. Send flowers to express your sympathy and honor Michael Claude's life. It was reported by The Times on February 7th, 2019 that Elbert Kimsey died in Baldwin, Georgia. Kimsey was 86 years old. Send flowers to express your sympathy and honor Elbert's life. It was written by The Times on December 13th, 2018 that James Thomas Tackett passed on in Baldwin, Georgia. Tackett was 81 years old. Send flowers to express your sorrow and honor James Thomas's life. It was reported by The Times on December 5th, 2018 that Ethelyn Brock (Savage) died in Baldwin, Georgia. Ms. Brock was 82 years old. Send flowers to express your sorrow and honor Ethelyn's life. It was written by The Times on December 3rd, 2018 that Myrtle Lewallen (Poole) died in Baldwin, Georgia. Ms. Lewallen was 91 years old. Send flowers to express your sorrow and honor Myrtle's life. It was reported by The Times on November 9th, 2018 that Norma Allison Martin died in Baldwin, Georgia. Martin was 80 years old. Send flowers to share your condolences and honor Norma Allison's life. It was revealed by The Times on October 23rd, 2018 that Ernest Roger Watts perished in Baldwin, Georgia. Watts was 82 years old. Send flowers to express your sorrow and honor Ernest Roger's life. It was disclosed by The Times on October 9th, 2018 that Tammy Teresa Chambers (Sorrow) perished in Baldwin, Georgia. Ms. Chambers was 52 years old. Send flowers to express your sympathy and honor Tammy Teresa's life. It was reported by The Times on October 7th, 2018 that Jerry Abernathy died in Baldwin, Georgia. Abernathy was 72 years old. Send flowers to express your sympathy and honor Jerry's life. It was revealed by The Times on October 7th, 2018 that Mozelle Kelly Smith died in Baldwin, Georgia. Smith was 93 years old. Send flowers to express your sympathy and honor Mozelle Kelly's life. 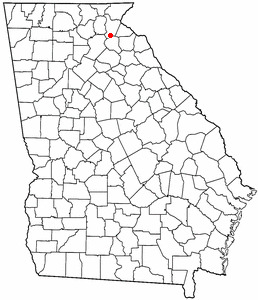 Baldwin is a city in Banks County, Georgia and Habersham County, Georgia Counties in the US state of Georgia (US state) The population was 2,425 at the 2000 census. . . . . He liked what he saw, walked back to Georgia and moved his family to Florida ... grandchildren and 17 great-great-grandchildren. Baldwin Fairchild Funeral Homes, Oviedo Chapel, is handling arrangements. The funeral will be held at 11 a.m. Saturday ... Brooks Sanders and the late Manie Baldwin Sanders. Mr. Sanders was blind since age eight, and attended Spartanburg School for the Blind. He was a member of Wesley Grove United Methodist Church. Listing all funeral homes in Baldwin, Georgia so you can easily send flowers to any location (same day delivery) or find any funeral service. Find crematories & Crematories in Baldwin, GA. Read business reviews, find driving directions, and more. crematories on YP.COM. We work with local florists and flower shops to offer same day delivery. You will find budget sympathy flowers in Baldwin here. Our funeral flowers are cheap in price but not in value.